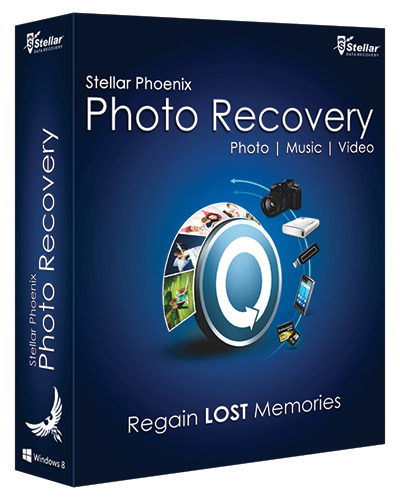 Step 1 : Download and install Photo Recovery Software and then launch it for the recovery on Windows. 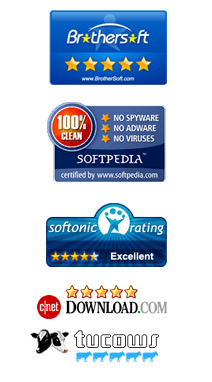 Click to ‘Recover Photo, Audio, & Video’ from the main interface of software. 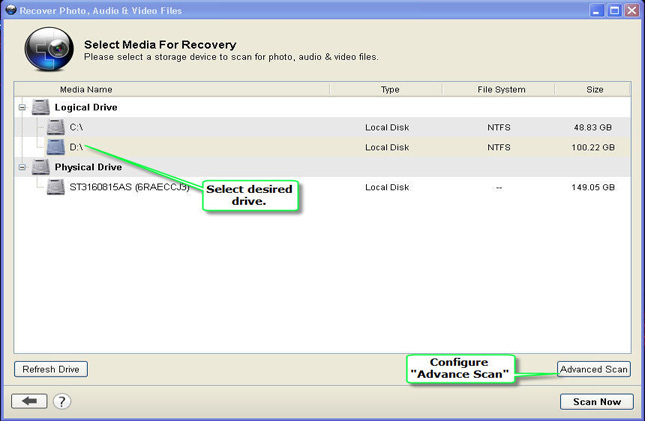 Step 2 : Now choose the specific drive from where you want to recover photo and videos. You can press ‘Refresh Drive’ option in case external storage media not appear. 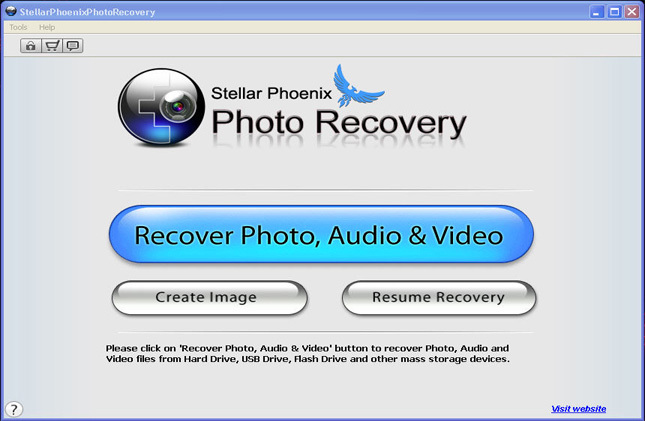 Choose the drive for the recovery then select ‘Scan Now’. 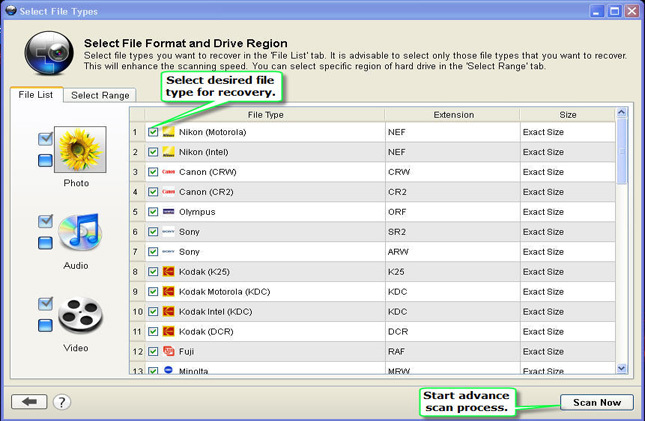 There is ‘Advance Scan’ option to customize the process of recovery according to file types. 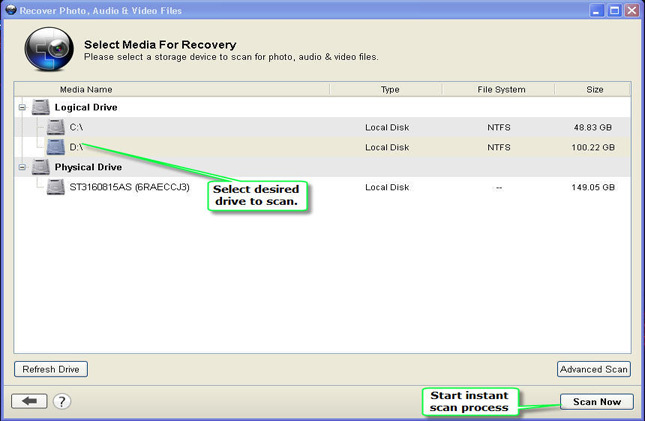 Step 3 : You need to select the storage media for scanning of photo, video and audio files. 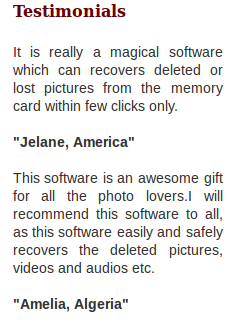 Step 4 : You will get the options as per the file types like ‘Photo’ ‘Video’ and ‘Audio’ through ‘Advance Scan’ option. You can also select the range of data from storage media which customize the scan process and minimizes the timing of scan. 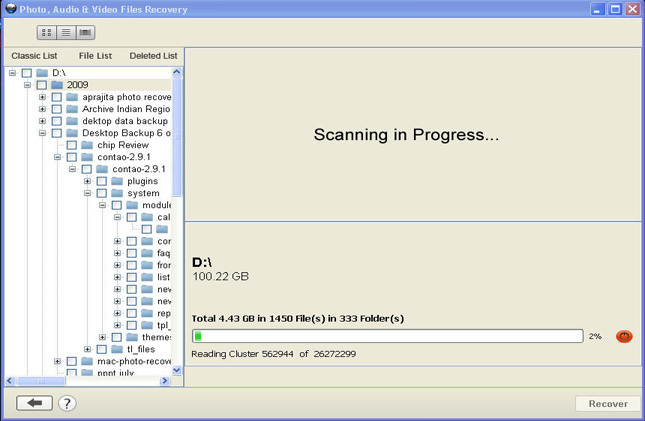 Step 5 : The progress bar shows the scanning and scanned data is stored as tree in the left side of the pane. Step 6 : Now files can be seen through preview after the scanning. 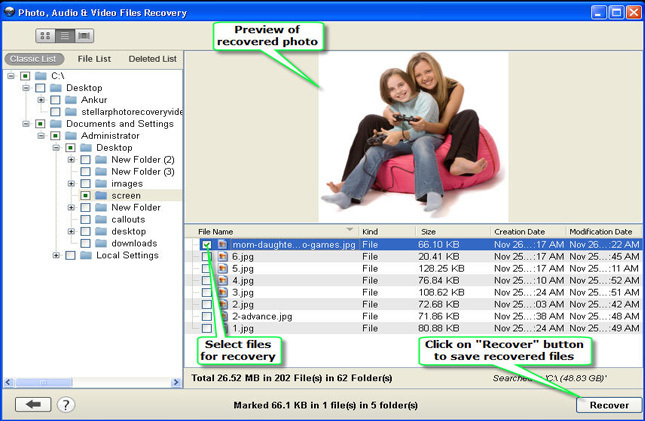 After that you can either see the recovered files or click to ‘Recover’ option for saving files. Step 7 : Finally, you need to select the desired location for saving the multimedia items on Windows and the progress bar will display the saving process.